A traffic gridlock on Friday crippled commercial activities in Onitsha, the commercial hub of Anambra, barely hours to the governorship poll in the state. 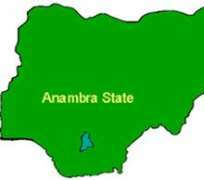 Commuters entering Anambra from the Asaba end were stranded as traffic at the Onitsha Head Bridge came to a snarl. Within the town, the traffic also crawled as people jostled to make purchases ahead of the 22-hour restriction of movement called by the security agencies starting from Friday night. A driver who gave his name as Ossai said that he was in the traffic for more than three hours from Asaba to Onitsha, a journey that usually took 10 minutes. Mr Clement Okolie, a businessman, said that it would have been better if the election lasted for a few hours to enable people to go about their normal life. Reacting to the situation, Mr Benjamin Okonkwo, the Public Relations Officer of the Federal Road Safety Corps, Onitsha Unit, said its officers and men had been working relentlessly to put the traffic under control. Okonkwo said the corps had been in the area since 10 a.m. trying to control and ease the congestion. He noted that the grid lock must have been caused by a broken-down truck at the Asaba end of the Niger Bridge. 'Apart from the reported break-down at the Asaba end of the bridge, there is also an on-going repair of the Asaba end of the Onitsha-Asaba road by the Federal Road Maintanence Agency (FERMA).